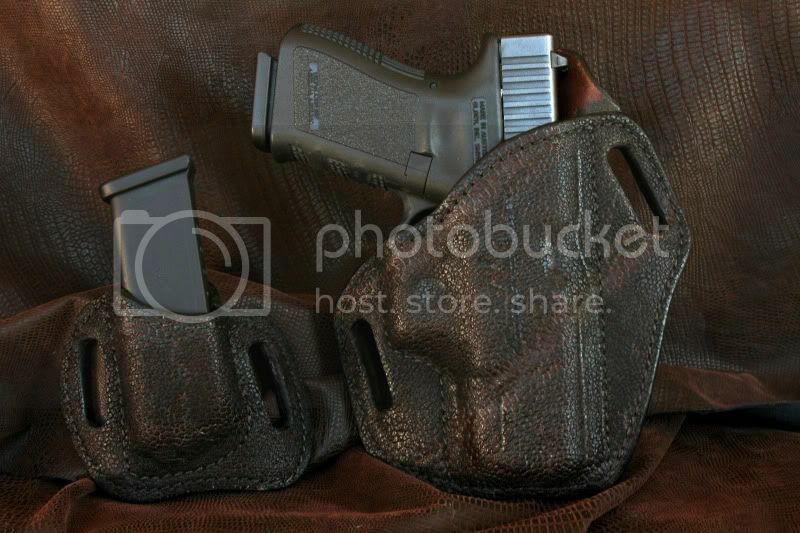 Packing these holsters up for their new homes. 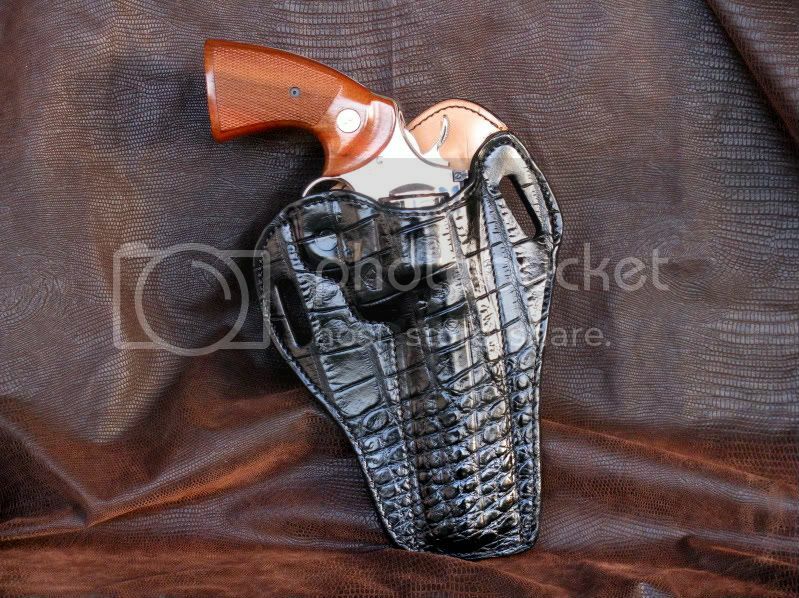 Rhome, that alligator hide makes one fine looking holster! I like that last one. 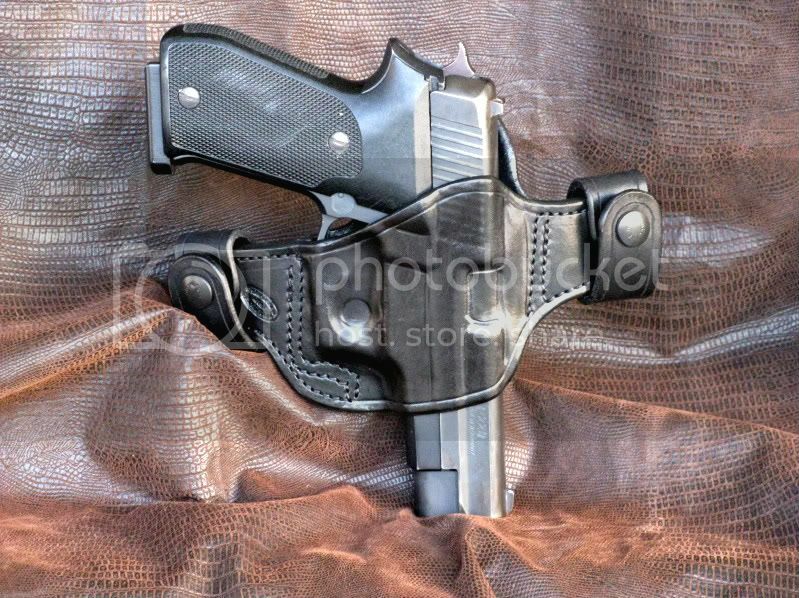 Do you make it for revolvers also? Hi and Thanks for the kind words. 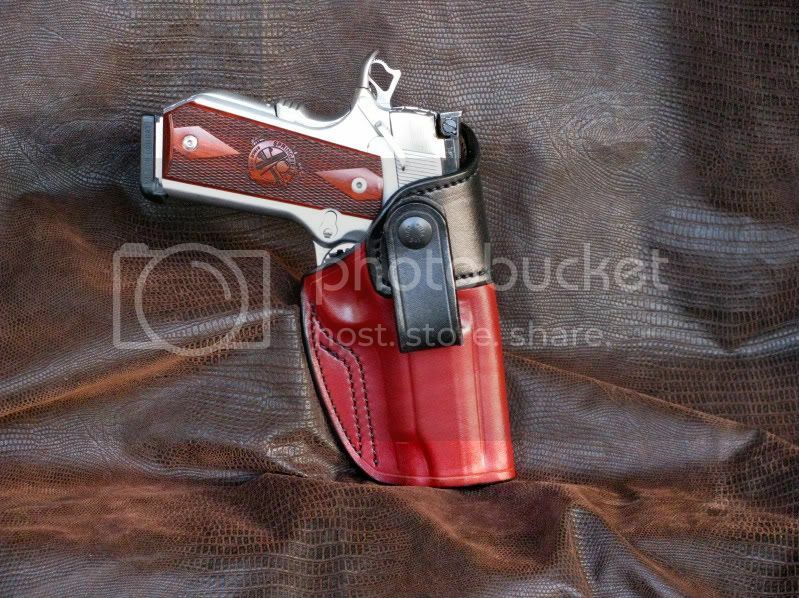 Sure I believe I can make the DSBS holster for revolvers. Check our web-site for supporting guns. Geez! Where do you get the elephant hide? I was wondering where you got the elephant hide too. Alligator for my PCR would make it the ultimate barbeque auto yet. BUT, I think I would have to sell a LOT of blood plasma to afford something like that! Thanks for all the comments. I usually get my gator from a supplier in Florida. 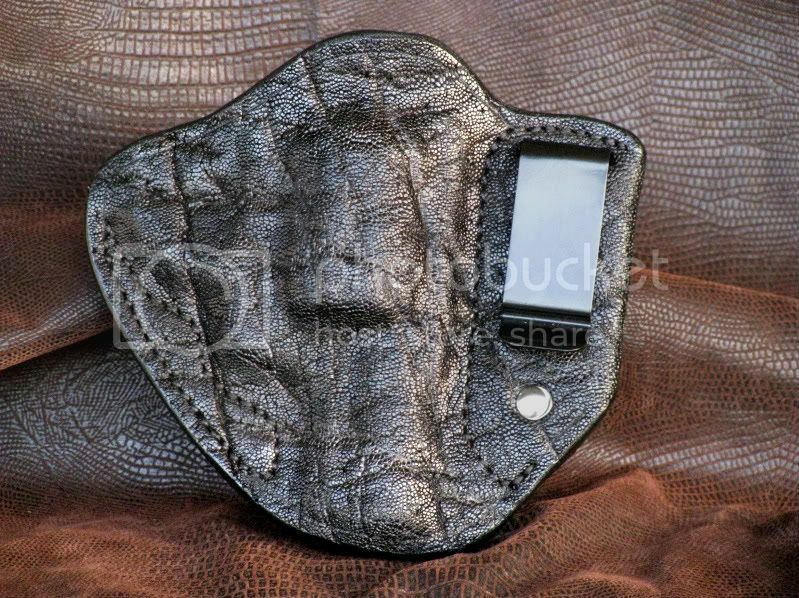 "...usually get my gator from..." And the elephant hide? 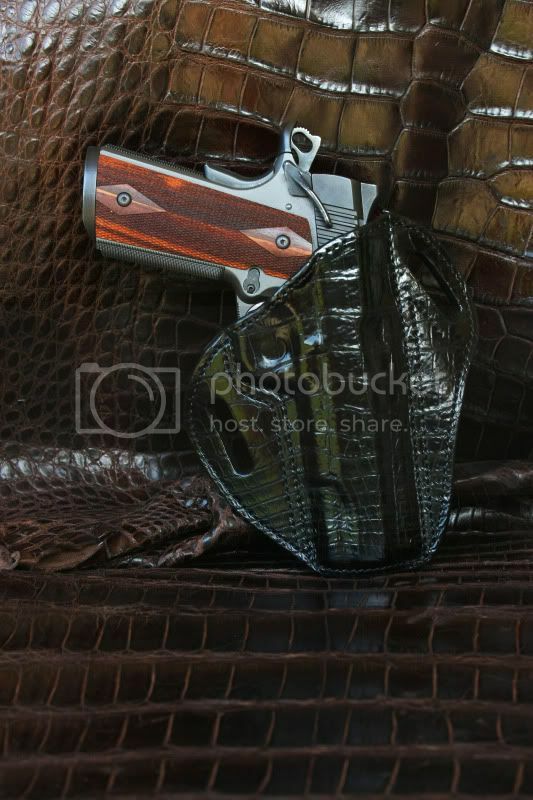 There's a minimum leather design in J. David McFarland's, How to make Practical Pistol Leather, that smaller than your DSBS. No hardware required. (Desert Publications. ISBN 0-87947-150-6.) Got my copy from Tandy's, long ago.